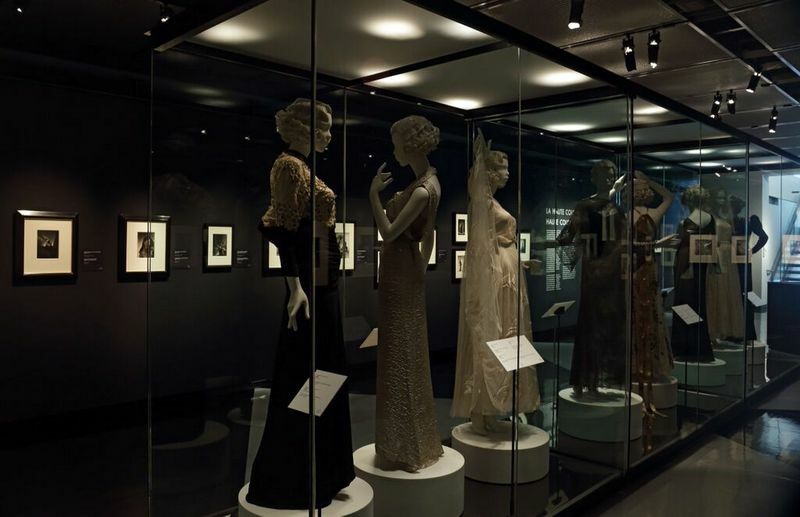 The exhibition features more than 250 vintage photographs, sketchbooks, a short film, archival footage, contact sheets and magazines, as well as eight haute couture dresses from celebrated designers that include Chanel, Molyneux, Lanvin, Schiaparelli, Maggy Rouff and Vionnet, all from the Victoria and Albert Museum, which is not only a leading fashion museum, but also houses the oldest museum photography collection in the world. 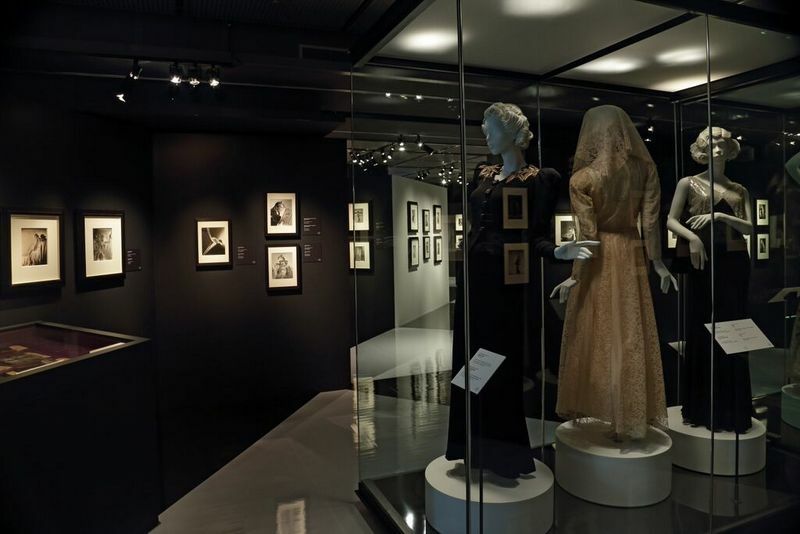 The different gowns, photographs, magazines, documentary film footage, personal artefacts and sketches create a glimpse into Horst’ life and into the world of high fashion and studio photography during the heydays of style and elegance between the 1930s and 1960s. 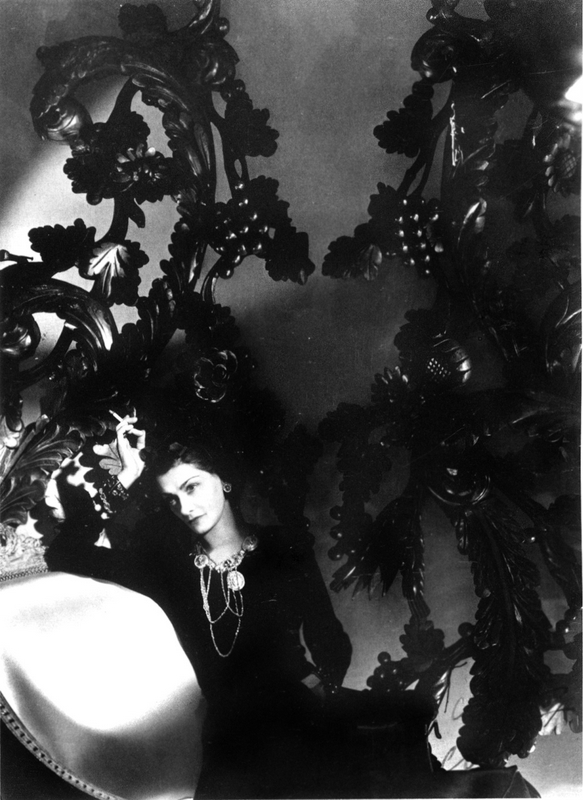 Horst’s portrait of Chanel, posed on a Louis XVI-style chaise against decorative carvings, remained her favourite for many years. 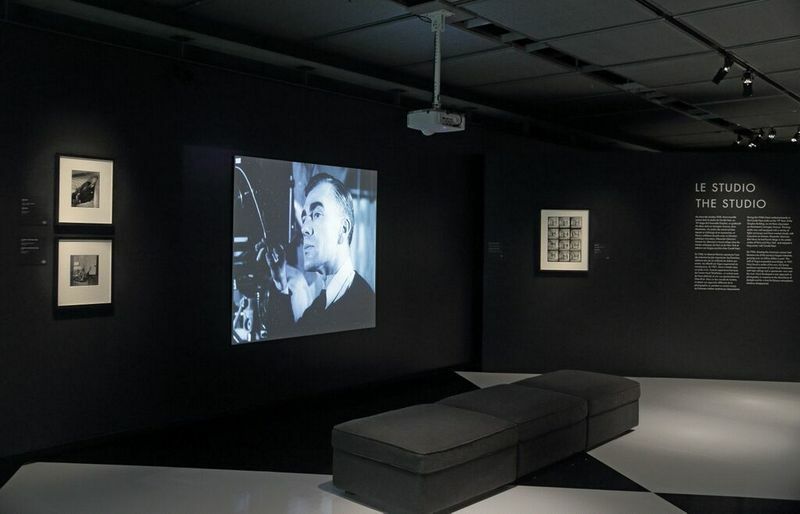 When Horst refused to charge her for prints, she showed her appreciation by giving him several pieces of furniture from her own collection. 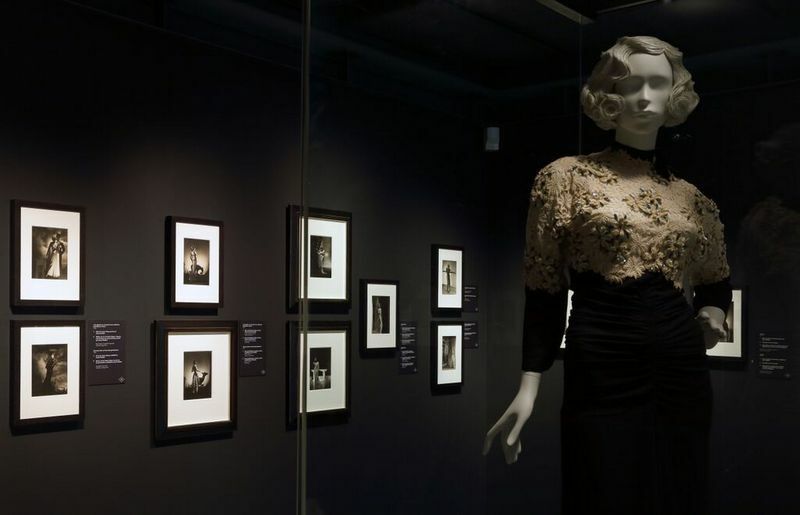 Marlene Dietrich found fame with films such as Morocco (1930) and Blonde Venus (1932). The director Josef von Sternberg was instrumental in shaping her femme fatale image. 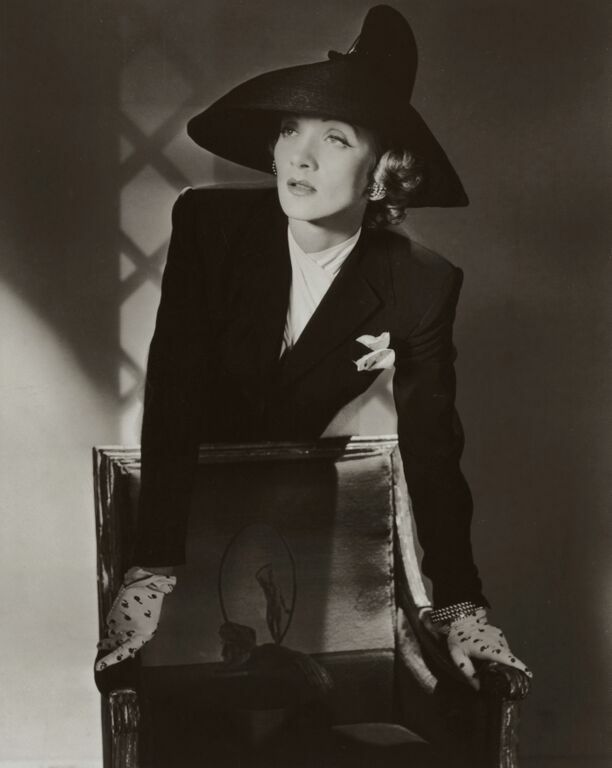 He used angled lighting to enhance Dietrich’s facial features but Horst chose a softer approach. 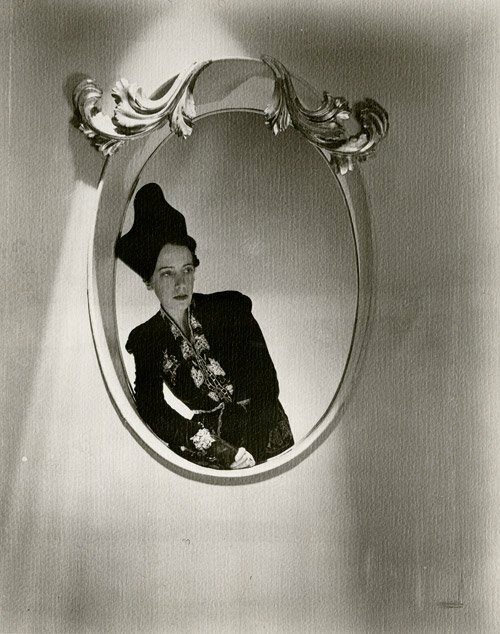 Horst admired Elsa Schiaparelli for her daring individuality, describing her as “always precise, too sharp, forward … For six or seven years, she was more talked about than anyone else in the Paris couture world.” He photographed her for Vogue in a witty trompe l’oeil manner. She wears one of her own designs: a tailored wine velvet evening jacket embroidered with gold and blue glass, with wine felt hat sweeping high. 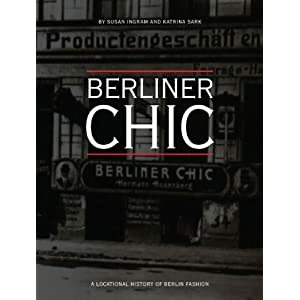 As many iconic fashion photographers, such as F.C. 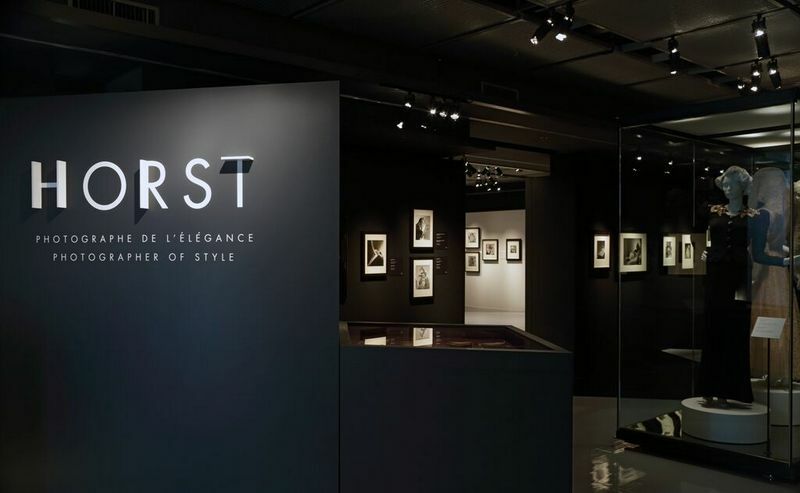 Gundlach, Peter Lindbergh, Helmut Lang, to name a few, Horst was born in Germany and became famous abroad. 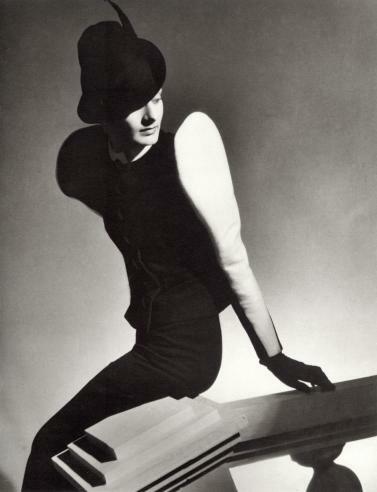 Horst P. Horst was born Horst Paul Albert Bohrmann in Weissenfels Germany in 1906, studied at the Kunstgewerbeschule in Hamburg and studied design with the founder of Bauhaus design Walter Gropius. 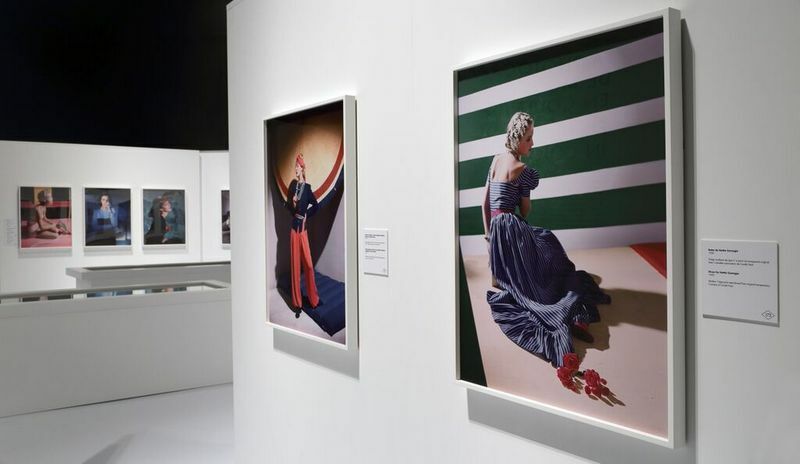 In 1930, Horst moved to Paris to apprentice as an architect with Le Corbusier, and began learning about photography from the Vogue photographer George Hoyningen-Huene. 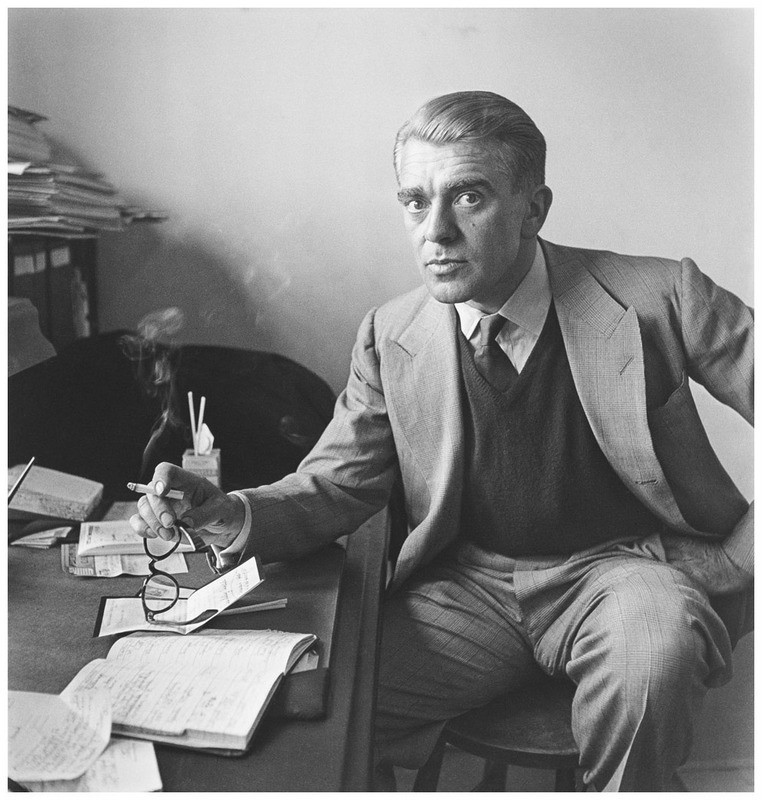 By 1935, at the age of 29, Horst became the principal photographer at French Vogue, following Huene’s departure for Harpar’s Bazaar. 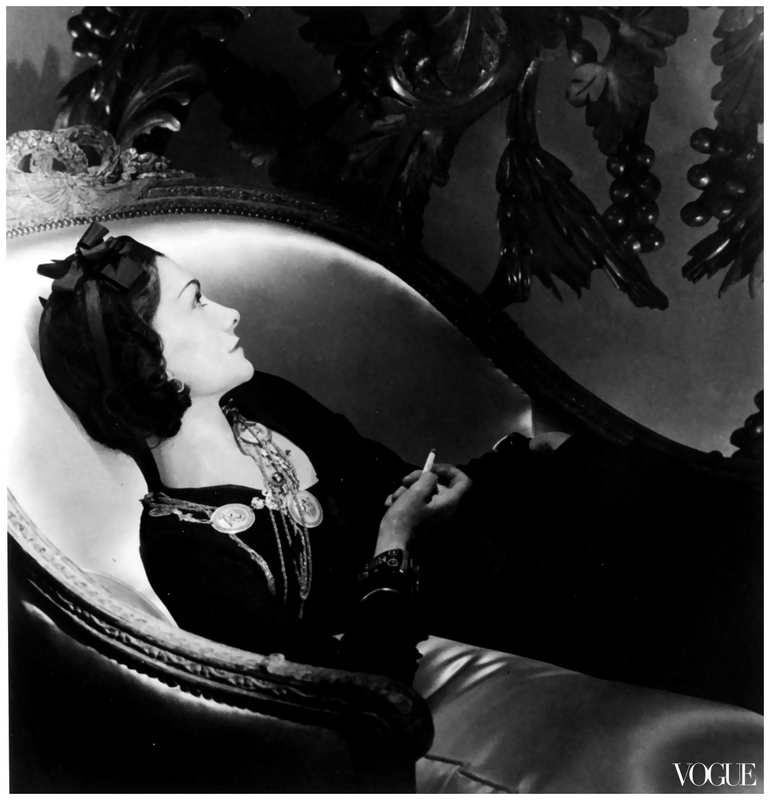 That same year, his first Vogue cover photograph appeared featuring Princess Sherbatow. corset of pink satin. She assumed the role of Venus, goddess of love, beauty and pleasure, the proportions and contours of her body as perfect as a classical statue. 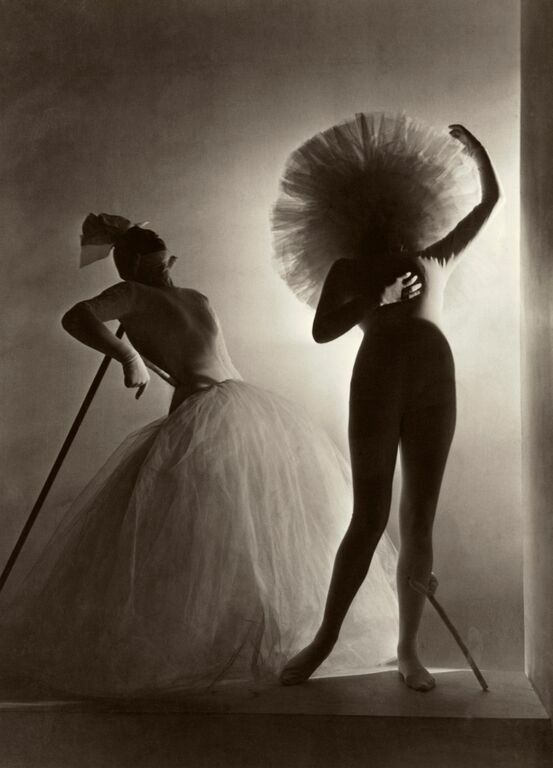 It was the last photograph Horst made in Paris before the outbreak of war. It came to represent a turning point, the end of a charmed era. 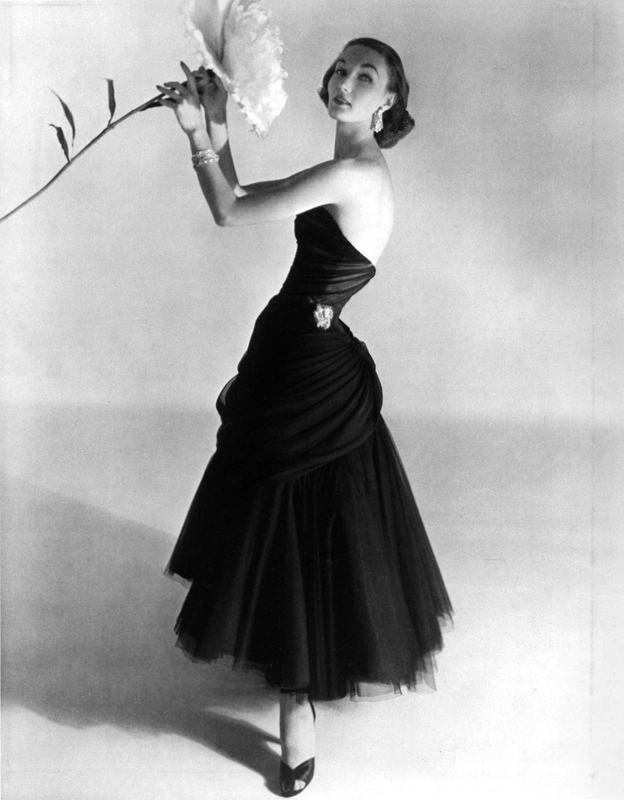 Horst’s photograph was carefully retouched before it was printed in Vogue, the corset altered to appear to cling to the body. 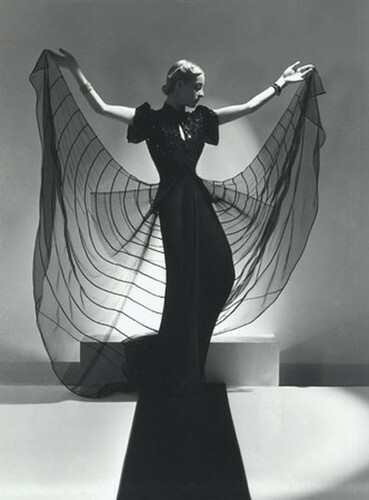 The original, in which the corset hangs loosely at one side, has a more provocative effect and is the version that Horst himself preferred. The trailing ribbons evoke the silken fetters of Cupid, the winged son of Venus. Madonna’s 1990 music video Vogue features several of Horst’s motifs, including the Mainbocher Corset. 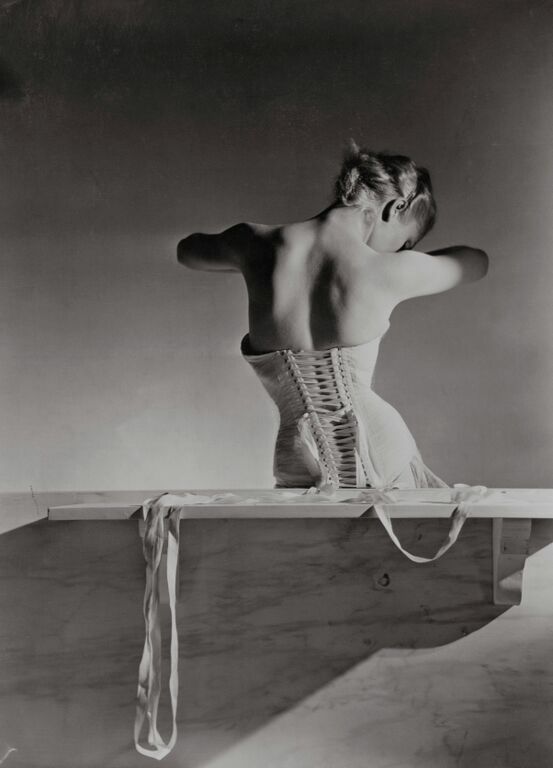 In 1939 Horst fled to New York, where he continued to work as a photographer. In 1943 he became a U.S. citizen, changed his name, and enlisted in the American Army. 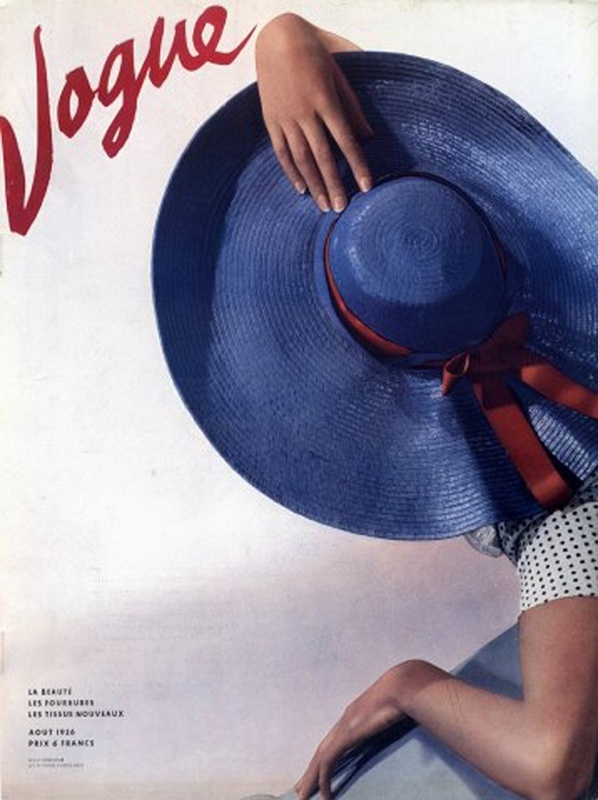 In the post-war years, Horst experimented with nature, travel, and architectural photography. 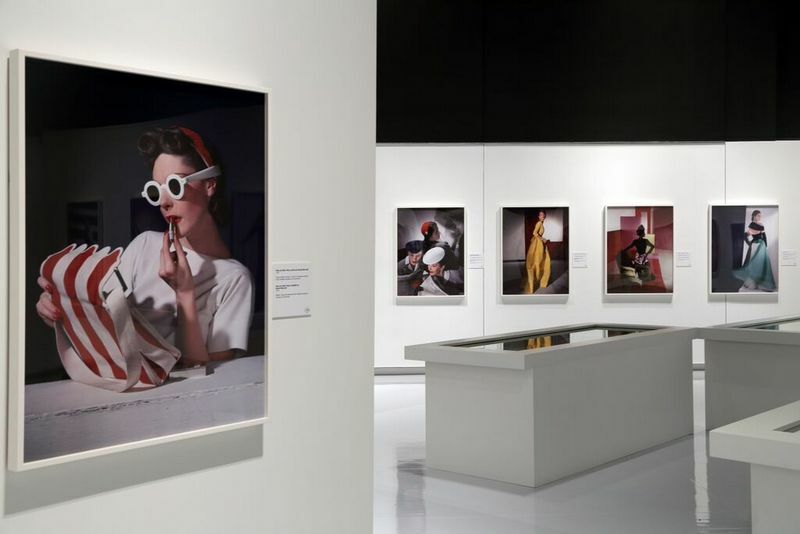 With the gradual decline of stylistic studio photography in fashion magazines, Horst expanded his photographic oeuvre, but continued to excel at portraiture. 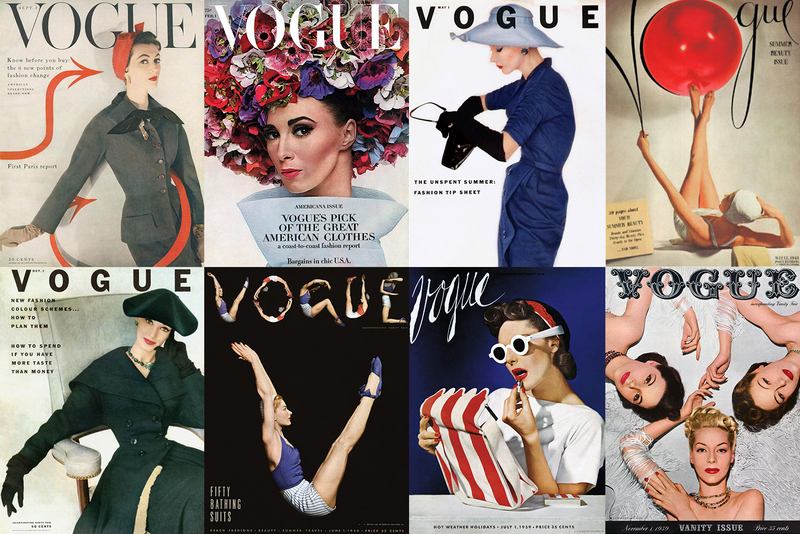 In the 1960s he collaborated with Diana Vreeland for the American Vogue, and resumed his position at French Vogue in 1978.
which won industry awards. 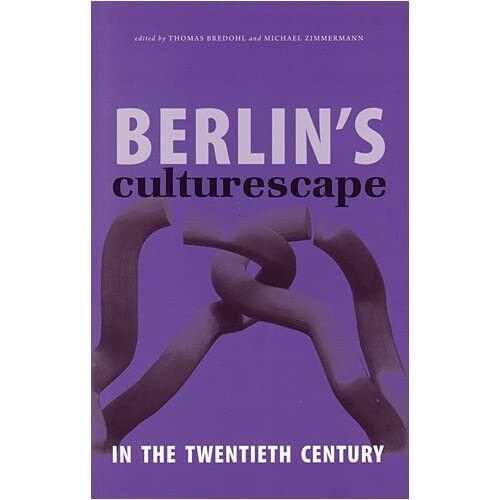 The designs for some of his most successful covers were devised in collaboration with the magazine’s long-time art director Alexander Liberman. 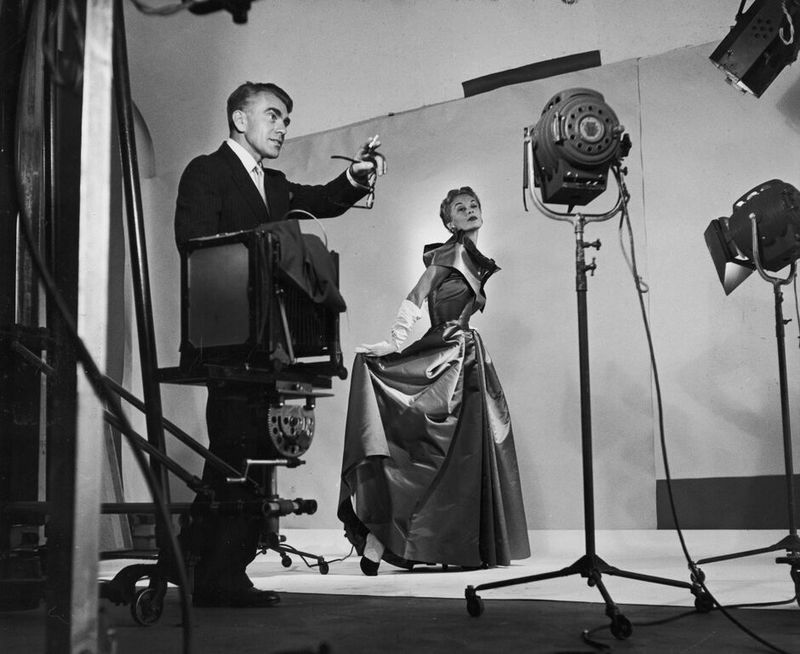 Horst would sometimes sketch out his intended photographs before working with the camera. 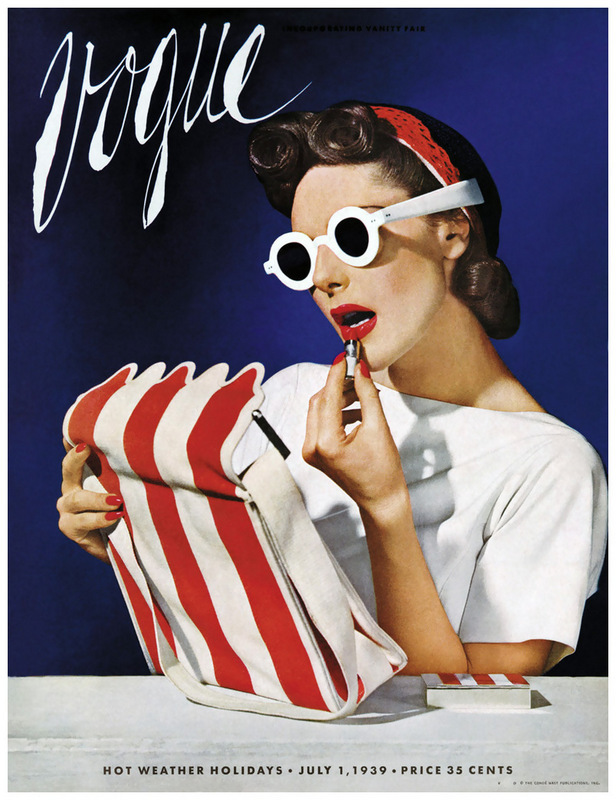 Several of these examples have a particularly American quality, incorporating the stars and stripes in red, white and blue paint. Others show how he experimented with the relationship between text and image. 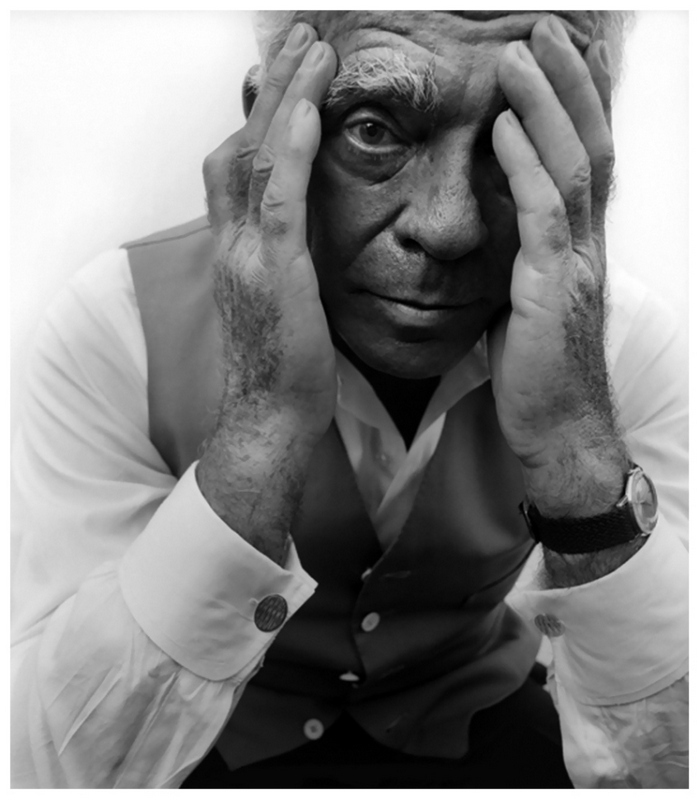 In 1996, at the age of 90, Horst was awarded the Master of Photography Award from the International Centre of Photography in New York. He died three years later in Palm Beach, Florida. 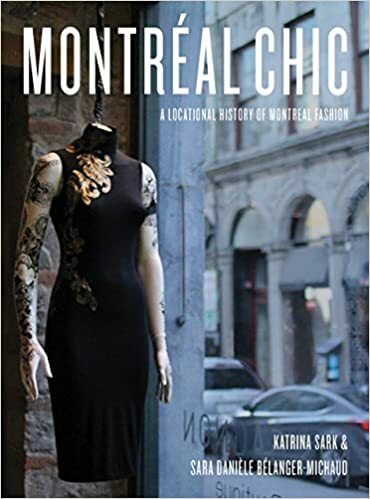 This entry was posted in Art, Fashion, Galleries, Montréal, Museums, New York, Paris, Photography and tagged Coco Chanel, fashion, photographers, Vogue. Bookmark the permalink.